New Que Huong is just one of the restaurants mentioned in this week's Food News column that is selling its house-made pickles. 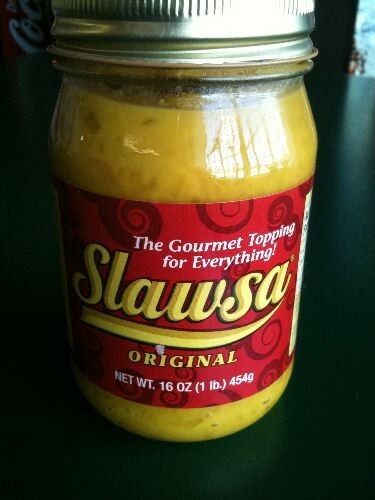 When I was there about week ago, I had expressed interest in buying a jar, but they were out. I was, however, given a few of the pickled vegetables to sample. So very good, and a tasty if sharp ending to lunch. 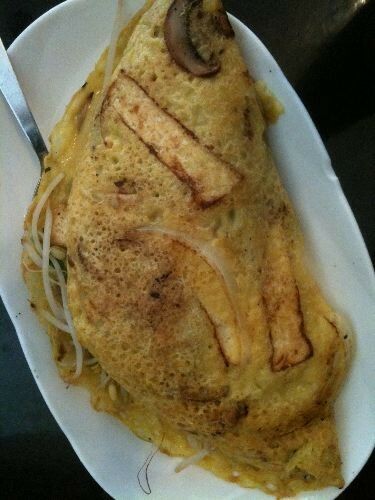 I started with the Vietnamese crepe ($7.25). Low Arts Tea Haven, a "contemporary tea bar," is opening this weekend at Avenue Carriage Crossing. On Friday, there will be an open house, from 6-9 p.m. It will open for regular business hours starting Saturday, 10 a.m.
Owners Maureen and John Fogel first got into tea for health reasons, then fell in love with tea for its lore, history, and traditions. 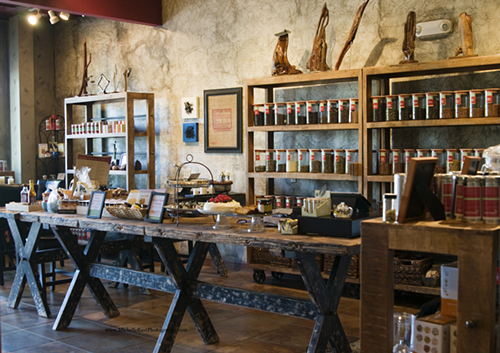 Low Arts Tea Haven will offer some 60 loose-leaf teas. They will have rare yellow teas and rooibos from South Africa. They will have a selection of Master Teas, and one tea that contains ground coffee beans. The baked treats skew healthy and include Martha's Family Favorites. According to Maureen, even though Low Arts is a "tea bar," it's not quite accurate to describe it as like a coffeebar with tea. "Coffee is more go go go. Tea is about pausing and taking a moment," she says. The first Best Memphis Burger Fest is set for Sunday, September 30th, 10:30 a.m.-5 p.m., in the parking lot of Minglewood Hall. The festival is an off-shoot of sorts of the Best Memphis Burger blog, created by Seth Agranov about 10 months ago in a quest to find the city's best burger. Says Agranov, who works in IT, "I'm just a geek who likes to eat." In those 10 months, Agranov and guest reviewers have eaten around 50 burgers for the blog, and Agranov has become a active voice on Twitter, especially regarding food. And it was, in fact, a Twitter conversation, that led to the festival. Agranov, who's been on teams for the hot wing contest and barbecue fest, had a specific vision for the burger fest ... It would be small and fun with lots of beer to drink with funds raised going to charity. The festival will be a competition, and what is particularly interesting is that it's open to amateurs and pros alike, so that a cook representing Huey's cook could very well go against a guy who's never cooked outside of his own backyard. 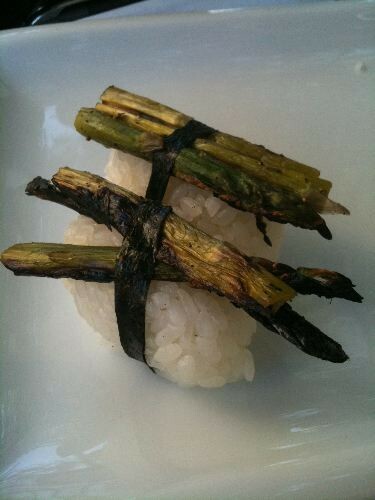 Asparagus, rice ... that's it and nothing else is needed for a perfect, light summer bite. 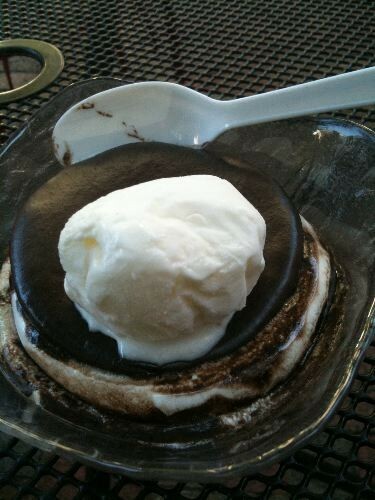 As the toppings begin and end with ice cream atop a warmed MoonPie, this dessert at the Center for Southern Folklore would be more accurately described as MoonPie a la mode rather than MoonPie Sundae ($4), but should we be quibbling when the ice cream is melting? 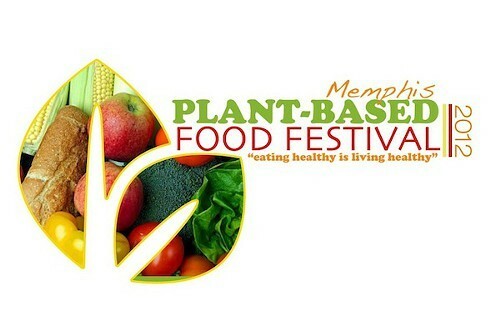 Bastet Ankh Re is one of Memphis’ most well known vegans. For the past 10-plus years, she’s been dishing out animal-free advocacy one delicious meal at a time, first as one of the Vegan Sisters, then in various restaurant ventures (among them DejaVu), and now as owner of the snack line OC Vegan Foods and the store Natural House of Wellness. And while Ankh Re has been diligent about spreading the vegan gospel, she has not been pushy. In regards to this weekend’s Plant-Based Food Festival, she first did a sort of trial run last year with her vegan challenges. She rallied participants from community centers in North and South Memphis and Whitehaven to try the diet for a week. Of the 34 who signed on, 22 completed the challenge. Having gauged community interest, she made plans for the festival and decided to avoid the word “vegan.” “I didn’t want to scare people,” she says. Pam is currently working on a guide of Memphis restaurants and emailed to ask what dishes I like at Saigon Le. My response: My favorite thing to get there is the pancake appetizer. I think we split it once. You wrap it in lettuce and herbs and it is wonderful. 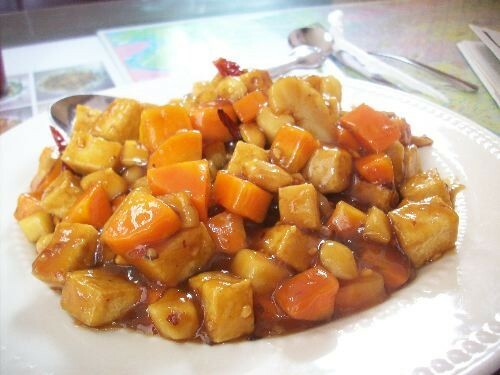 I also like the kung pao tofu. With that, the kung pao started floating around my brain. I had to have it. 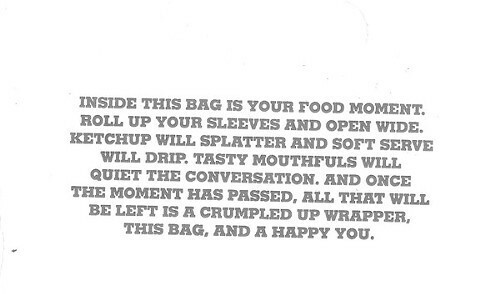 From the Burger King bag somebody stuck on the breakroom fridge. 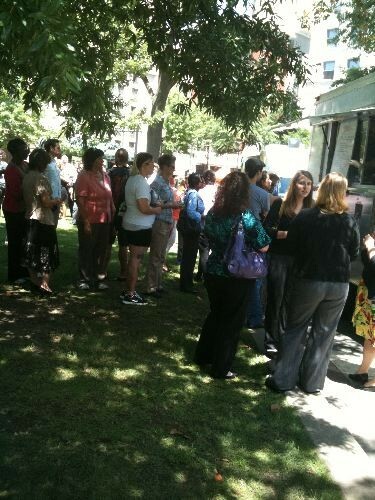 The Memphis Food Truck Alliance will begin a series of weekly food truck rodeos, starting Sunday, June 17th. Taylor Berger of the Memphis Food Truck Alliance (and of YoLo and the upcoming Chiwawa) expects about a dozen trucks will be at the June 17th event. Among those confirmed so far are: YoLo, Memphis Munchies, Square Meals on Wheels, Rock N Dough, and MarksGrill. In other alliance news ... Berger is currently working on something he's calling the Truckstop. Alcenia's might be known just as much for the hug and kiss that owner B.J. Chester-Tamayo gives each customer as it is for its wonderful home cooking. Normally, this hug-and-kiss thing would be torture for me as I am quite uptight, but here it's not a big deal. 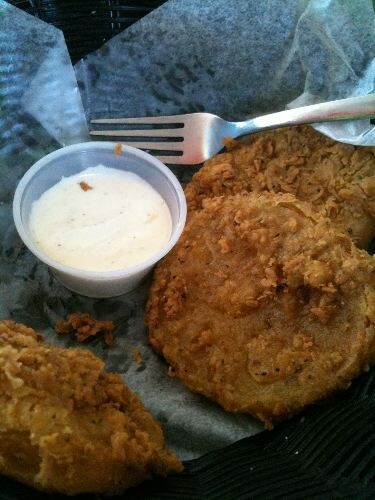 What is a big deal are these fried-green tomatoes ($5.50), make that chicken-fried green tomatoes. Ice cream on potatoes? Ice cream on potatoes! 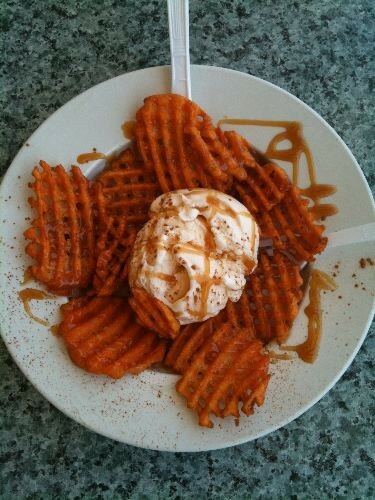 From the menu description of Huey's Sweet Potato a la Mode ($4.25): "The Prospector's delight, you must try this original creation of deep-fried waffle-cut sweet potatoes topped off with a mound of ice cream that is drizzled with caramel and sprinkled with cinnamon. Absolutely delicious." I would describe the potatoes as sort of funnel-cake-y. Instead of caramel, the sauce was honey, which was a nice touch. "Cheese! 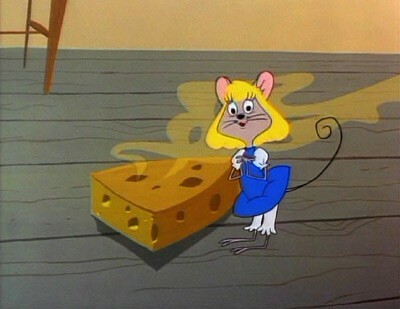 I just love cheese, really I do!" On Thursday, June 7th, there will be a Local Beer and Cheese tasting at Sweet Grass, and on Saturday, June 9th, Jack Magoo's will host a Beer and Sandwich tasting. This muggy weather has got me wondering how long one could survive on nothing but Icees and popsicles. I'd probably work in a Watermelon margarita ($6.99) or two from Mi Pueblo. This pretty drink is given an extra kick with peach schnapps. 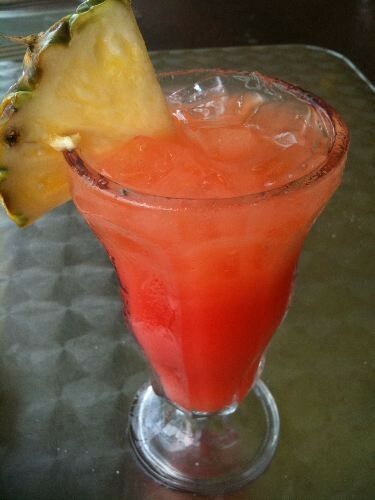 I also like the pineapple garnish, which I meant to eat but forgot. Edited to correct phone number. The Live in the Garden series returns on June 16th with a concert by Chicago. 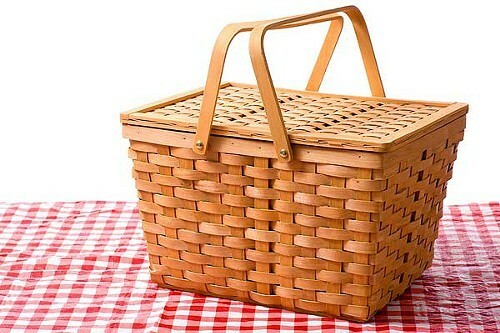 And, once again, The Grove Grill will be offering picnic dinners to take along. The dinners feed 2 to 4. 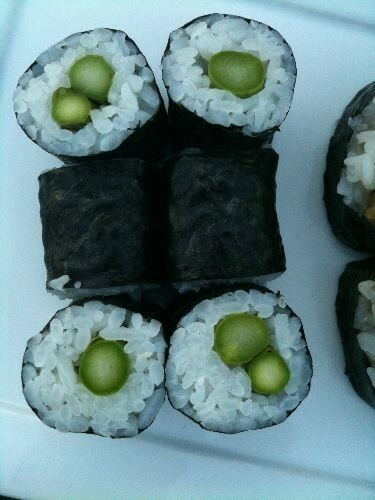 This is from last year's menu, but offerings and prices will give you an idea of what's available ... Beef tenderloin ($25); pesto salmon ($21); chicken salad ($15); shrimp cocktail ($22). Orders required 24 hours in advance. Call 818-9951. When you pick up your picnic, you may want to stop by the Booksellers at Laurelwood for some Martha's Family Favorites treats.